If you are looking for Oakland dental implants, affordable, and cheap, you need to come over the bridge into San Francisco. Here in the Financial District, in Sacramento Street, you will find the office of San Francisco Dental Implant Center. Our name says it all, really. We carry out dental implants – all day and every day – so as you would expect we are really very, very good at it. Our two doctors, Dr Alex Rabinovich and Dr Noah Sandler, are both highly qualified and experienced oral surgeons and dental implant experts who can assess your jawbone and ascertain whether you are a suitable candidate for dental implants. You shouldn’t worry, because most people are, but it is as well to get an opinion from the experts. Our doctors have been working on dental implants for people of all ages for years and have a wealth of knowledge. 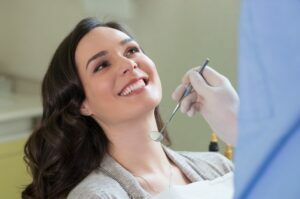 Indeed, Dr Rabinovich is frequently asked to address dental conventions on the subject of dental implants and the latest techniques and materials. He is the “go to” dental implant surgeon for other dental implant surgeons. While on the subject of materials, it is worth noting that at San Francisco Dental Implant Center we use nothing but the absolute best. You may possibly find a dentist in Oakland who offers dental implants for a little less, but there are two points to consider. First, he may not be a dental implant specialist. He may also be using cheap, imported materials. Our doctors take the view that if you are seeking dental implants you want nothing but the very best so that they can last you for life. Both our doctors are happy to provide every patient with a completely free consult so that you can ask all your questions and get answers from the experts, so if you are looking for Oakland dental implants, affordable, and cheap, it is a good idea to make an appointment, which you can do by clicking on the Contact Us link at the top of the page or calling (415) 992-9188. Whether you need one dental implant, several, or the teeth in a day treatment which replaces all your teeth in a single day, you need to talk to Dr Rabinovich or Dr Sandler. Dental implants are not just as good as your original teeth, they are actually better because they cannot rot or deteriorate. So if you want Oakland dental implants, affordable, and cheap, get on BART, drive over the bridge, or even take an Uber to San Francisco Dental Implant Center.